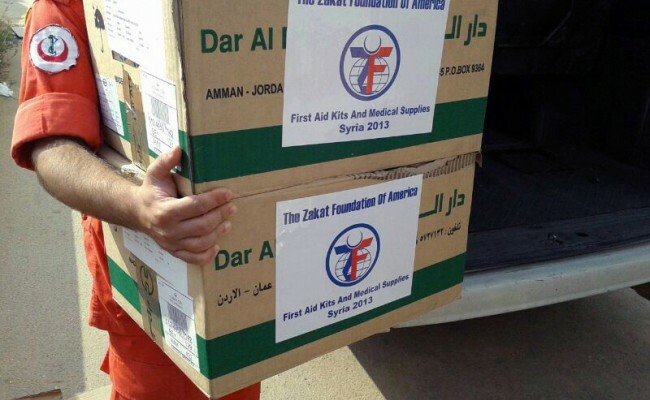 The Islamic Medical Association of Lebanon recently sent its thanks to the donors of Zakat Foundation of America (ZF) for supplying life-saving medicines and first aid kits for the sick and injured Syrians in Homs, Damascus and particularly Yabroud, which has seen thousands of patients wounded during the fighting in Qusair. 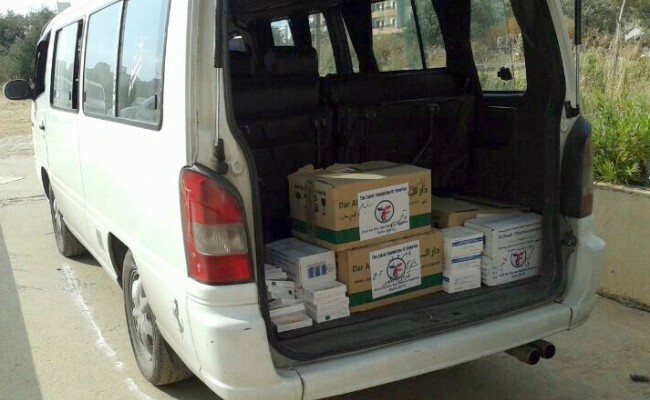 The medicines that ZF has provided include antibiotics, anti-inflammatory drugs and anesthetics needed by those injured by the intense fighting in Qusair and elsewhere in Syria. Since the Syrian conflict began in March, 2011, displacing and making refugees of almost 7 million people, ZF has distributed emergency humanitarian relief in the form of food packages, medicines, medical care and emergency housing. This Ramadan ZF has opened bakeries to produce food for Syrian refugees and is housing refugee families. ZF is also looking to the future with sustainability programs that will help Syrians rebuild their country after the crisis has ended. As in most humanitarian crises, those most affected are women and children. In response to the changing needs on the ground, ZF has launched a general fund for widows and orphans. The large majority of children in refugee camps have lost at least one parent, and their lives have been further disrupted by losing their homes, schools and sense of security. In response to their needs, ZF is offering educational and enrichment programs in the refugee camps. Children receive instruction in academic subjects and recreational activities that provide a sense of normalcy to their horribly disrupted lives. These programs are saving lives and making life more manageable for Syrians who have lost everything. Your generous donation to Syrian aid programs reaches a hand of friendship and comfort across the miles, and gives hope to those in desperate need. Read the original thank you letter sent from the Islamic Medical Association of Lebanon here.